In 1962 Dawley was designated as the New Town with a plan to increase its population from 20,000 to 90,000 by the time it was completed. This announcement created a lot of interest and businesses moved very quickly into empty properties in Dawley High Street and Chapel Street. The Chamber soon started to attract a steady stream of new members, each year an annual dinner was held at The Forest Glen which was then situated at the foot of The Wrekin. The Chamber got involved in many projects including the complete refurbishment of the main A442 which in those days went straight through the middle of Dawley and because of its activities the Chamber expanded and by 1967 the number of commercial and industrial members was substantially greater than those exchanged solely in retail trade. The Chamber made the decision to run the first in its very long line of Business Exhibitions, giving manufacturing organisations and Commercial businesses an opportunity to showcase their products to the local audience. This was a free event which was extremely successful in raising the awareness of local business. In the meantime the Chamber, due to the recession, was struggling to maintain its membership and there was a suggestion that we should merge with other Chambers in the West Midlands region. At the time our Honorary President, Mr Mike Lowe was Chairman of the West Midland Group of Training & Enterprise Councils, a suggestion was made that the Chamber joined forces with the Training & Enterprise Council, which was agreed and found favour with members. In 1996 Shropshire Chamber of Commerce Training & Enterprise was formed. This allowed us to sell of the promises at Halesfield and with funds which we were able to obtain by the Training & Enterprise Council and by the sale of the Halesfield property, acquire Trevithick House where we were able to establish the new organisation. We were also able to set up Business Link which operated in the same premises and led to further expansion and this continued successfully until 2001 when it was announced that Training and Enterprise Councils were to be replaced by Learning & Skills Councils as long as the area involved had not less than 1/2 Million people. This decision effectively meant that there would not be a Learning & Skills Council for Shropshire and we protested against this because we believed that the success we had as training & Enterprise Council had been exceptional and we put forward a lot of statistics demonstrating this and the Government eventually decided that there would be one in Shropshire. As a result of this part of the Training & Enterprise Council transferred to the new Learning & Skills Council and in return we had to change our name by dropping the word ‘Training’ from the title to avoid and confusion with the Learning and Skills Council. We therefore then became Shropshire Chamber of Commerce and Enterprise, as we continue to this day. 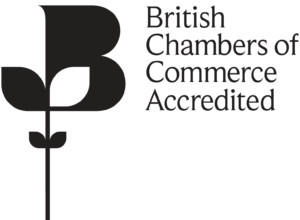 We are one of 53 accredited Chambers in the UK who are trusted champions of businesses, places, and global trade, representing thousands of businesses. The British Chambers of Commerce (BCC) sits at the heart of a business network that spans the length and breadth of the UK, with links to markets across the world, enabling the creation of business relationships and opportunities within and across borders.